Tyler is a software engineer and technical writer from Scotland, currently living in Trondheim, Norway, where he is taking his Master’s degree in Information Systems. He has a passion for computers, programming and technology as a whole and loves tinkering with new systems. For his bachelor thesis, Tyler created artificial intelligence agents that could learn to play Pong using Reinforcement Learning techniques. His other interests include Computer Vision and Drone Technology, so it will come as no surprise that he is also part of AscendNTNU, NTNU’s aerial robotics team. You can check out his GitHub here. As a writer at Transloadit, Tyler helps us to get the word out about our services and new tech. When we last left off in the Re-loadit series, I covered an example using the /dropbox/store Robot. This time, I want to import files from my personal Dropbox. So, continuing with the Dropbox theme, it's the /dropbox/import Robot's time to shine! In contrast to the /dropbox/store Robot, the /dropbox/import Robot will allow you to import directories directly from your Dropbox storage to be passed onto other steps within an Assembly. So, for this example, I will be introducing an Assembly that allows me to move the images from one of my Dropbox folders to my SFTP server - running on my very own Raspberry Pi. As an extra step, I also want to reduce the file size of these images since my Raspberry Pi's SD card is only 8GB. 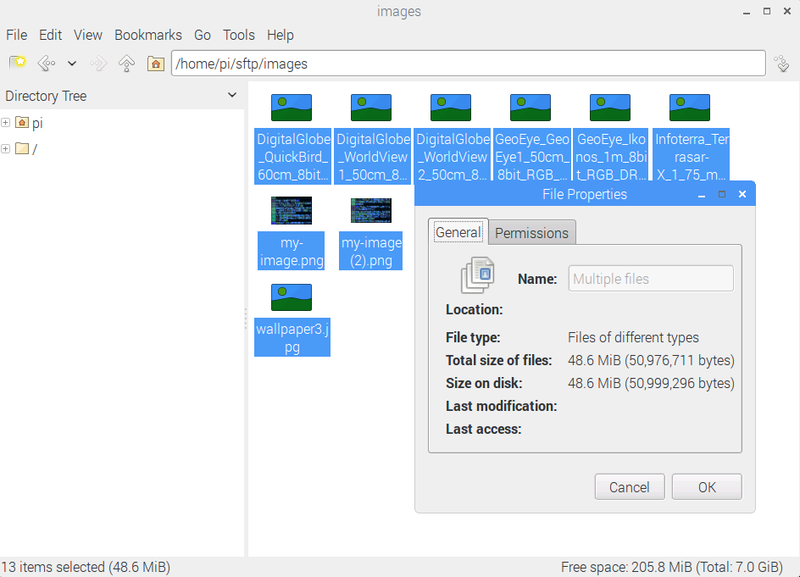 For the curious, the Dropbox folder containing the images I want looks like this. There's a mix of media files in here, so I'll also need a way to filter out the unwanted files. Let's see how exactly to build such an Assembly. Feel free to follow along! Finally, the /sftp/store Robot will let me store everything on my own SFTP server. As usual, I prefer to keep the credentials for both my Dropbox access token and SFTP details (such as hostname) safe in the Template Credentials section of Transloadit. From the initial Step, the /dropbox/import Robot will import all files specified by the path parameter, in this case my media/ folder. This folder contains a number of images, but also some miscellaneous files, like documents and mp3s. Not all of those files are relevant, so I use the /file/filter Robot to filter out anything that isn't a jpeg, png, svg or tiff. The impressive /image/optimize Robot then takes these images and helps reduce their file size while maintaining their quality. Finally, I export the results to my SFTP server - letting them live comfortably on my Raspberry Pi. After a quick check on my Pi's filesystem, the results are looking good! 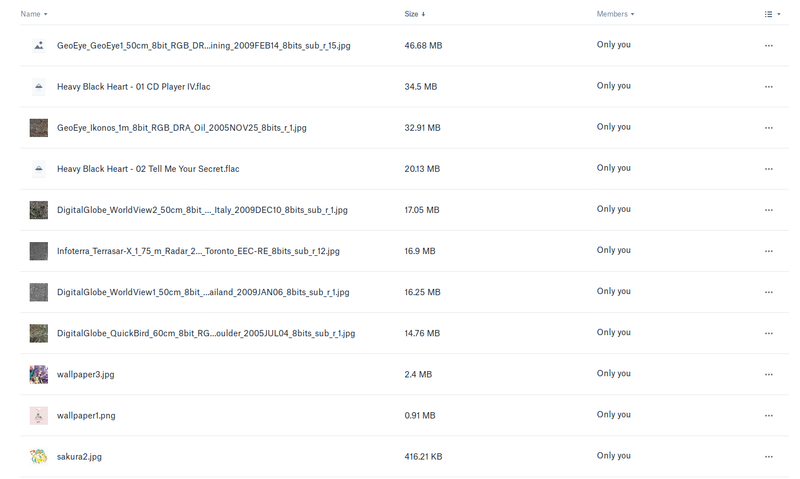 All of the images that were present in my Dropbox media/ folder are now also present on my SFTP server. And as a nice bonus, I've managed to whittle down some of the file sizes too! Stay tuned for the next installment in our Re-loadit series!